Very much new thoughts and practices suggested, which I appreciated. Thanks for the details of what a authentic Passover might have looked like, and your insights on applications for someone new to seeing the need to be more clued up. 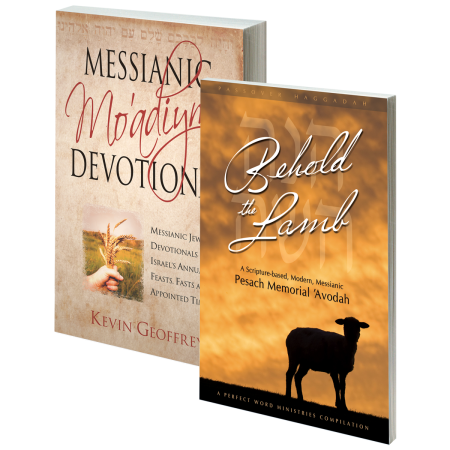 Tears come to my Gentile eyes as I hold Kevin Geoffrey’s Behold the Lamb Messianic Pesach ‘Avodah in my hands. Finally, a guide that helps us memorialize the Pesach in a way that is both true to the Word of ADONAI, and uniquely true to the Spirit of His Word. I hesitated purchasing the materials for several months. I felt I did not need yet another Passover Seder Haggadah. 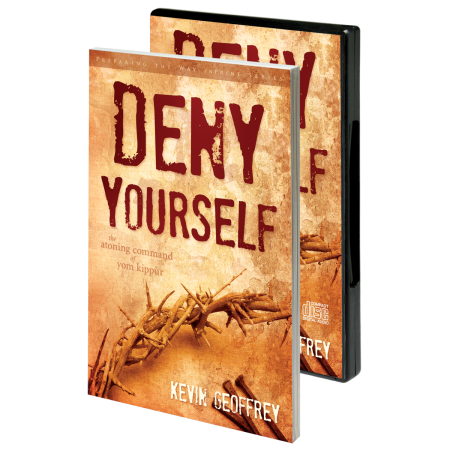 After feasting on a number of Kevin’s teachings, I began to recognize an anointing and a commitment that promised more than the status quo. Behold the Lamb did not disappoint. 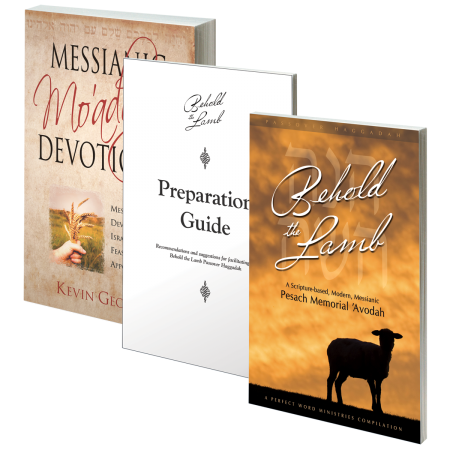 Behold the Lamb gloriously transports the worshiper from Torah to New Testament; from Egypt to the Upper Room; from Goshen to Gethsemane; and from Sinai to the Streets of Jerusalem by the PERFECT Word of Adonai. “Precept Upon Precept – Line Upon Line”, “Rightly Dividing the Word of Truth”, the eternal message of Grace and salvation is made plain. To those who will see,, the purpose of ADONAI’S chosen people and the work of Messiah unfolds with clarity. There are few things as important in the life of a believer as daily communion with ADONAI. 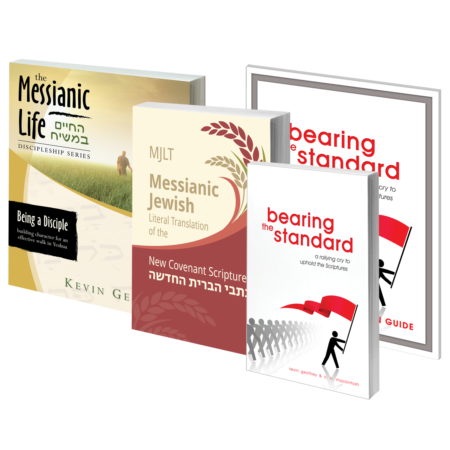 Kevin Geoffrey’s Messianic Mo’adiym Devotional is a true discipling tool – priceless as a daily dose of encouragement and faith building manna and much needed as a special guide into Appointed Times and their deeper meanings. I had only had my copy for a few days when an opportunity to share my manna with a hungry family member presented itself. I needed something to give to her, something substantial, something real, something unadulterated, something non-religious, but full of truth and the message of grace and restoration. Off went my fresh new copy of the Messianic Mo’adiym Devotional. I can’t get my second copy ordered fast enough. There are few gifts in the world, that you can give, that have the power to transform lives. The message of God’s grace and restoration, rather than religious dogma, is the only substantial, real and perfect gift there is. The unadulterated Word of ADONAI is the only gift that can disciple the believer, and win the heart of the lost at the same time. 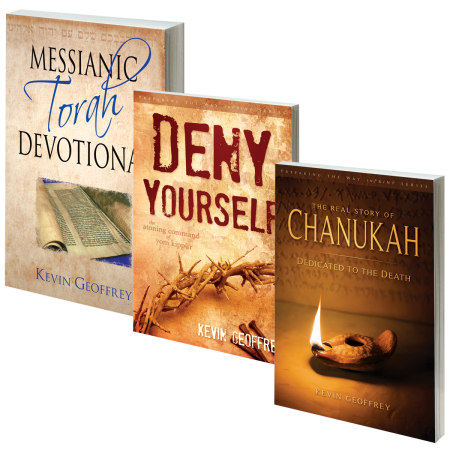 Kevin Geoffrey’s Messianic Mo’adiym Devotional is as true to God’s Word as all of his other teachings have proven to be – never empty, always full of light and love and revelation. Kevin’s frequent specail pricing is evidence of his deep commitment to break the Bread of Life to all who will partake.